Florida is among the 17 USTA sections, driven by the USTA national body and the national USTA Foundation, that has pledged to donate $350,000 to restore tennis facilities and restart tennis programming throughout Puerto Rico. It has been one year since the devastation across the island, with the goal of the effort to give the children and families in Puerto Rico the opportunity to enjoy all of the benefits that the game of tennis can provide. The USTA used the recent US Open as a platform for raising awareness of the effort, with promotion on site, as well as across US Open and USTA social channels. Individuals can join the effort by making a donation through the USTA Foundation via ustafoundation.com/SupportPR. The funds raised from the initiative will go directly towards efforts in Puerto Rico. All contributions to the initiative are tax deductible. The USTA Foundation is a 501(c)(3), tax-exempt, not-for-profit, charitable and educational organization. 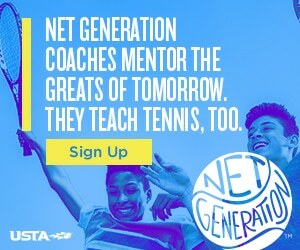 For more info go to www.usta.com/news or www.usopen.org.